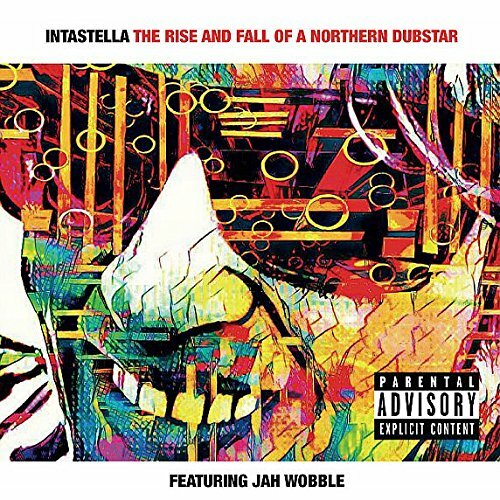 Part album, part soundtrack, Intastella’s The Rise And Fall Of A Northern Dubstar has ‘I heart Manchester’ all over it. Written by Stella Grundy and produced by Mike Bennett, it is inspired by Grundy’s theatre hit of the same name. Very much a concept album, The Rise And Fall Of A Northern Dubstar is a heady combination of narrative, dub music and the more dubious aspects of the eighties’ and nineties’ music scene. Given the format, the album is held together with strings of spoken word, primarily through the voice of Tracy Star, as performed by Grundy, a fictional musician seeking fame in a male world. Invoking the spirit of Maxine Peake, the title track opens with ‘And God created Manchester’. How I’ve missed those flat Coronation Street vowels. The story is one of living fast and dying in a blaze of rock ‘n’ roll glory at twenty seven. ‘The Rise And Fall Of A Northern Dubstar’ is a rousing stadium pleaser, never happier than when ten thousand voices are joining in. The repeated phrase, ‘You’re on your own’ captures all the grey despair of Morrissey’s Manchester, ‘Everybody’s clever nowadays’; the very essence of the working class survivor trying to rise from nothing. Jah Wobble features on both the title track and ‘Acrimonious Frame Of Mind’. With his characteristic dub bass, this track is full of fuzzy noises and what sounds like a secular choir bent on space exploration. There is a slightly suffocating and oppressive Class A fog about the whole thing. Many tracks are extended to just under ten minutes, providing plenty of opportunity to zone out to the trance-inducing psychedelia. ‘Unzip The Revolution’ has a sample that could well be Mike Joyce, talking about band solidarity. It has random samples, some recorded in reverse to provide the ultimate disorientation. It’s like coming down the helter-skelter in Jamie and the Magic Torch. Heavier but equally danceable tracks such as the ‘Time Stood Still’ pair, benefit from the bold guitar stripes of Nick McCabe (Verve) and Craig Gannon (The Smiths). It is a history of music and style, sadness and nostalgia. As the album approaches the ‘fall’ of Tracy Star, the music and the narrative become darker. It’s the skin and entrails side of Manchester nightlife. It’s about the ups and downs, the uppers and downers. Star explains how she was, ‘Too loud, too female and I irritated him and I liked that.’ The cackle of strong northern women is due for a return. Hear it at its finest on ‘Rock N Roll Crime’. This is a fine Mancunian odyssey. Just keep dancing. Feel the air under your baggy t-shirt. Get your whistle out and blow. The Rise And Fall Of A Northern Dubstar will be released on 22nd September 2017 through Universal Music. An amazing work by Stella Grundy of Intastella fame, with the brilliant talents of Mike Bennett as producer.